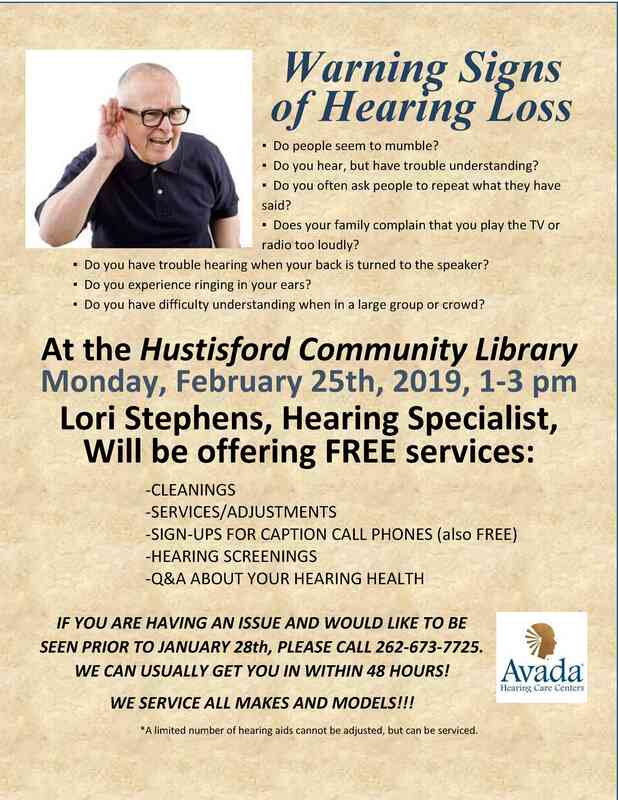 Monday, February 25th, 1-3pm. 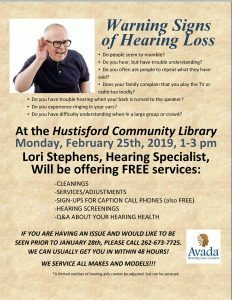 Lori Stephens will be offering FREE Hearing Testing Service. ▪ Do people seem to mumble? ▪ Do you hear, but have trouble understanding? ▪ Do you often ask people to repeat what they have said? ▪ Does your family complain that you play the TV or radio too loudly? ▪ Do you have trouble hearing when your back is turned to the speaker? ▪ Do you experience ringing in your ears? ▪ Do you have difficulty understanding when in a large group or crowd? 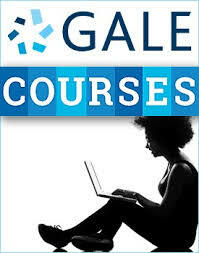 IF YOU ARE HAVING AN ISSUE AND WOULD LIKE TO BE SEEN PRIOR TO JANUARY 28th, PLEASE CALL 262-673-7725.